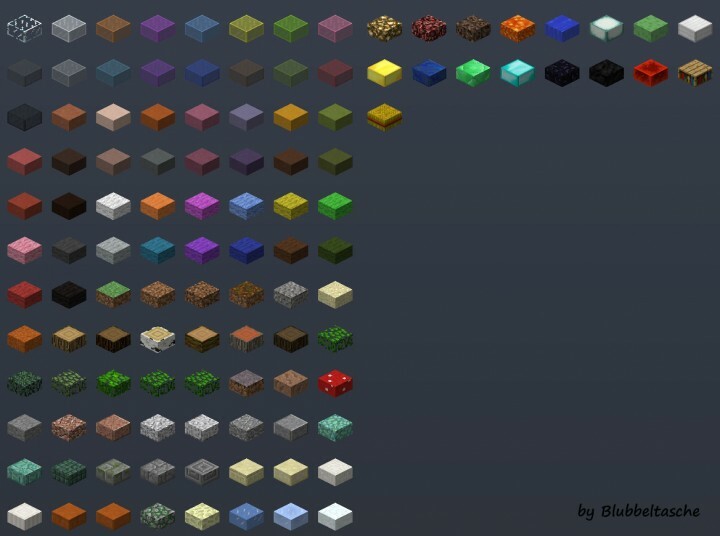 The Mod adds 113 new Slabs in the Game. All Slabs have the same hardness, resistance or are flammable such as the Blocks from which they were created. The stained glass slabs just look like a solid color can you fix it? Does this work with the new 1.12 update? For some reason I do not have all the slabs that are supposed to come with Slabcraft. When I go to that tab, I am unable to scroll down to the other blocks like I can with Staircraft. Any idea what is causing this? I am using the latest version of Forge (forge-1.11.2-13.20.0.2294-installer) and the latest version of Slabcraft (Slabcraftmod v7.01 - MC1.11 Forge). I have also removed all other mods to test Slabcraft by its self. Any suggestions would be greatly appreciated. Can we get vertical slabs in the future? Hi there Blubbeltasche! First off let me say congratulations that such a simple mod is so very good :) I also use StairCraft and WallCraft with this mod too and they too are equally as great however I have encountered a problem. Whenever I transfer a build I have made using SlabCraft, StairCraft and/or WallCraft from one world into another the blocks constantly change or disappear altogether ruining my builds and halting my progress on projects. Is there a way to stop this from happening so that I don't have to rebuild everything from scratch? When you say that you transfer from one world to another, how are you doing this? if problem with curse? i try download but forge load but pres download and not work is fix son? Do not press the top Download-Button but below the "Download Recommended". And there the "installer"
Can you combine two different slabs to create one multi-block...? One that mixes Slabcraft, Staircraft and Wallcraft? Are these texture pack compatible? If I use a texture pack to change blocks, will these change as well? I just checked it out, and yes-yes it is! Slabs and stairs for Biomes O'Plenty please?! If he doesn't do it, I will do it. I've always wanted vertical slabs too!! Very impressive mod. Only one thing I would like added- compatible slabs! That, and slabs that stick to the wall, like what you might see in Microblocks, or something like that. I have been using this mod in a world in Minecraft 1.5.2 and I have decided to update to 1.6.2 and when I try and load my world it gives me a message saying that the block IDs are mismatched please help. Okay this is now not a problem, I just said load anyway and it loaded and there was nothing wrong with my world. Hallo, ich kÃ¶nnte ein mod review fÃ¼r diesen mod und fÃ¼r den staircraft mod auf deutsch machen wenn du mÃ¶chtest? English to write here or write me a PM. Yes, that would be great..
You beat me to it... Diamond, favorite, and sub for you!! Is that a bug that you cannot put slabs one on each other to make a block? Hey, can you give me the code for the slabs? BTW I use ModLoader, like JC_crackle forge isn't working on my newÃ computerÃ FOR THE SECOND TIME!!! OMG NVM its working AGAIN! can you please make this modloader? It doesn't work with forge on my computer. Have you read the tutorial? Above you will find the link...Is just like Modloader instaled.you need "Forge Universal"
i told you forge doesn't work on my computer. Diamond for this one, too! you deserve a diamond my friend! I use sideways slabs mod for a lot of builds, any idea how to make these slabs compatible with that mod? May I add this to my modpack? if you want you can speak german to me.Im Dutch, but I can read German. Since I couldnt make the slabs work the same way as Minecraft I created an Item with the code that places the block, then depending on what metadata I use, I know that when the whole block is broken by a pickaxe, I know to either drop 2 slabs or 1 block. So I don't use a doubleslab, only a single slab and a slab Item. What do you mean by this sentence : "Now I know that you the groove Nice have meant. " Sure you don't have to make the mod like mojang, but it can be nice to put slabs halfway a block.It is cool how you made it with the different textures. Sorry my English is terrible. I translate it with Bing. It was meant: that I not really as critics see it. But rather as a clue. I understand what you mean. But it would be to my knowledge. just another New BlockID. In Minecraft have the DoubleSlab the "43+Metadata". I would also create a. To have the drop behavior of 2 Slabs. That would be only 53 BlockID again. Since I. In this mod without Metadata code. In Haycraft I had it that way. It is the source block was created. I found myself but annoying. so I've taken it out. I wanted to create slabs for my own mod, so I wanted to see how you did yours. It turns you that you cannot place your slabs at the top half of a block and when stacking your slabs, they leave empty spaces in between. I'd suggest you have a look at the mc classes ItemBlock and ItemSlab, then you can learn how to make them function the same way as the Minecraft slabs. For my own mod I programmed a whole new way, which took me nearly 3 days puzzling out. 1. You can place the slab on the top half. You can put them on the bottom:2. Yes you can not stack them, I have taken out the stacked extra, which was still in an old Version.3. 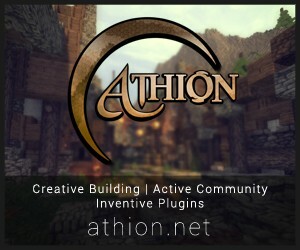 Why should I make it so like Mojang. There, the Slabs have a Lightbug, if they are placed on the bottom. Also nobody else has complained. Does Sand Slab have gravity? Great mod, btw. No, SandSlab and GravelSlab can float in the air.